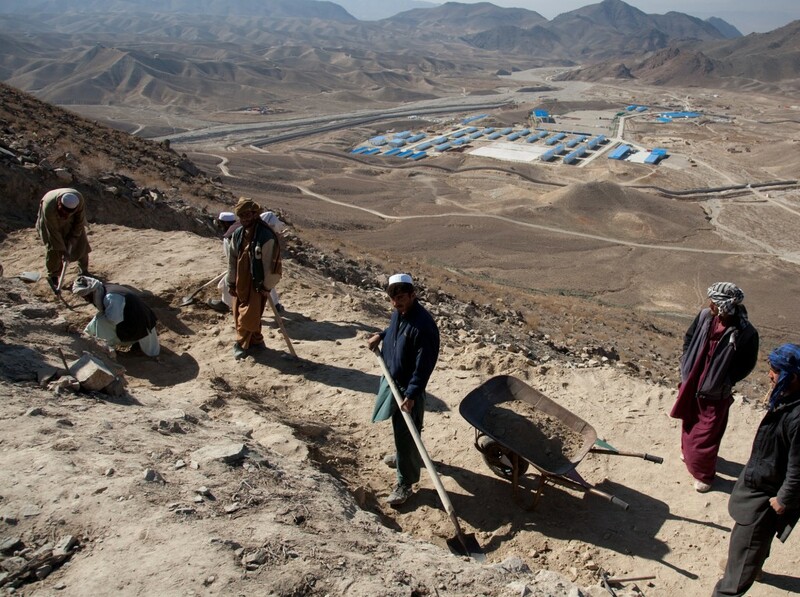 For 18 months, a Northwestern University professor has filmed the frantic efforts of an international archaeology team trying to save antiquities at an ancient Buddhist site in the heart of Afghanistan’s Taliban country. This week, at a Washington, D.C. conference of archaeologists, geologists and mining experts, he is screening his film footage. A 2,500-year-old religious site located along the Silk Road that in Marco Polo’s day linked China with the Roman Empire, Mes Aynak is home to more than 200 Buddha statues, devotional temples and an approximately 100-acre monastery complex 25 miles southeast of Kabul. The vast majority of relics and structures are underground; many are too large and fragile to be moved. “Ironically, the ancient Buddhist site is located directly on top of the copper as the Buddhists, too, were mining for copper,” Huffman adds. Today travel by car in the Taliban-occupied area is dangerous, and some archaeologists working at the site have received death threats. “Visiting Mes Aynak is always nerve-racking,” he says. On his five trips there, Huffman took Afghan taxis over windy roads to avoid notice by the Taliban. “There are several villages that have fired rockets at cars and placed land mines in the road at night,” he explains. Archaeologists were given less than a year to dig up the ancient relics before mining was scheduled to begin. “It’s a problem of time,” Huffman explains. “The archaeologists on the site say they have unearthed no more than 10 percent of the Buddhist site. But they have only until late 2013 or early 2014 before the Chinese mining operations begin. Huffman — who has been making social-issue documentaries and environmental films in Asia, Africa and the Middle East for more than a decade — learned of the efforts to excavate and preserve the Buddhist religious site after reading newspaper articles. The lack of funds and of public knowledge about the imminent dangers facing Mes Aynak religious site and the villages near it have forced the archaeological team to cut back their efforts.